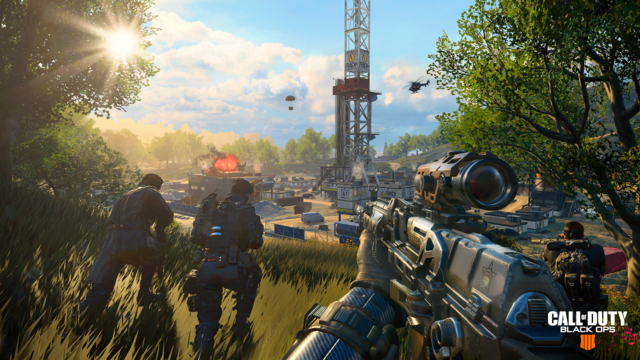 When you first drop into Blackout, the huge Battle Royale mode new to Call of Duty: Black Ops 4, there are a truly overwhelming amount of weapons to choose from. Everything is randomized, and it isn’t always clear what weapons are going to be useful. Let’s fix all that. If you want to know which weapons are best, and what weapons you’ll want to look out for, we’re here to help. 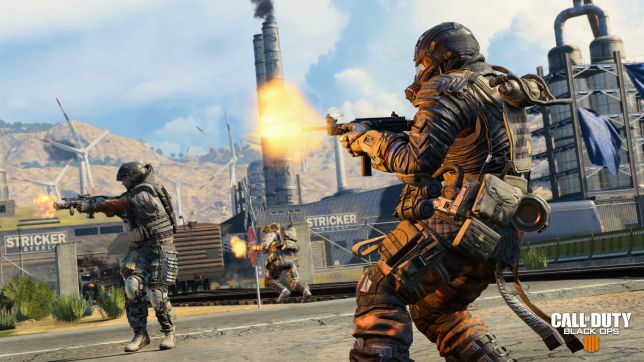 I’ve played Black Ops 4: Blackout for a very long time, and I’m going to tell you which weapons are the flat-out best of the bunch. Accept no substitutes. Okay, let’s lower the hyperbole a little bit. 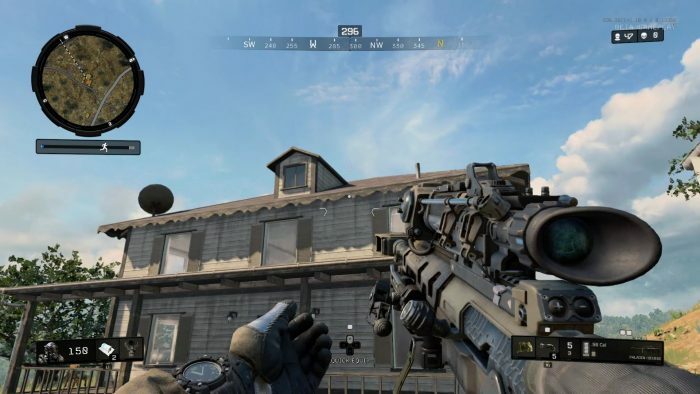 There are a ton of weapons in Blackout, and virtually all of them are going to be useful for some situation. When you’re scrambling for a weapon at the start of the game, even the weakest gun is better than nothing. Instead of ranking weapons, I just want to help you make a decision while you’re scavenging — should you replace your current weapon for another weapon? Should you keep what you’ve got? Should you be searching for something better? Those are the questions you’ll be asking yourself when you’re not caught up in heated gunfights. So check out this list, and decide for yourself which weapons are the cream of the crop. Goodluck out there, soldier. Before I begin, I’ll set some ground rules. There will be no pistols on this list. Pistols are only useful for one things — you can quickly switch to a pistol in a gunfight. That’s it. Against armored enemies, pistols aren’t going to do you any favors. Pistols are an early-game weapon only. Get rid of them as soon as possible. The same is (partially) true for SMGs, but I’ll list the best of the bunch here. The old standard. This weapon is essentially the MP5 of the future. It shoots fast while remaining relatively stable. It’s the best of the bunch, and should be saved only for extremely close encounters. 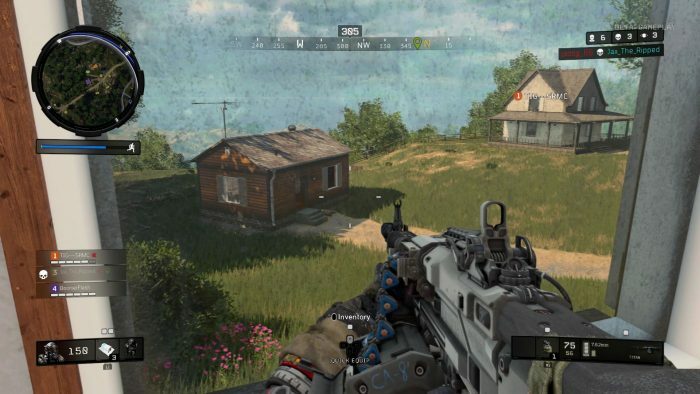 By the end of a Blackout session, your opponents will probably equip Lvl. 2 or Lvl. 3 armor, diminishing the effectiveness of all SMGs. Still, this is a great pick for the early-to-mid game. When you need a personal defense weapon, it’s a good secondary — just don’t pair it with a shotgun. You’ll want to grab a good medium-range rifle or LMG. If you’re caught outside very close quarters, the SMG can be totally useless. I recommend replacing it. All the shotguns are strong, but their range is the limiting factor. Not only that, but both shotguns don’t have strong penetration. The SG12 is the best simply because it can fire automatically. You’ll still want to aim — shotguns are strong, but not as strong as you think. You’ll want to aim for the head and move in close. 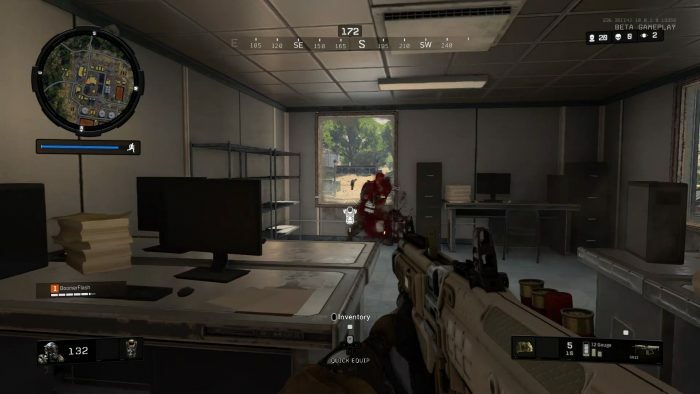 Pop a Skulker perk and you can carefully sneak-up on enemies with either shotgun for a quick finishing blow. Shotguns belong in the SMG category — great for the start of a session, but you’ll want to swap these bad boys out for something else eventually. Most players will find success with Assault Rifles. And like everything else, some Assault Rifles are better than others. One in particular is a great all-around weapon you’ll want to lookout for in every match. The KN-57 is the sci-fi equivalent of the AK-47. It uses 7.62 ammo, so it’s strong even against heavy armor. The KN has manageable recoil and good enough damage. It’s even better paired with a stock, grip, and x2 scope. This is just an all-around great weapon, perfect for beginners and reliable enough for veterans. Really, I recommend grabbing any Assault Rifle you can if you only have pistols, SMGs, or shotguns. You’ll need a weapon with range if you want to survive for long. Don’t bother sticking a sniper scope onto this standard AR — you’ll want to save those for a different rifle-type weapon. The next gun on our list is probably the best weapon in the game currently. It’s a monster, but also very, very rare. The Auger DMR is a semi-automatic “tactical rifle” with the range of a Sniper Rifle. It’s extremely strong, accurate, and works perfectly with a sniper scope. It’s very rare — about as rare as the Rocket Launcher, but with twice the utility. You can snipe with it, take down opponents at medium range, and even defend yourself at close range if you’re quick on the trigger. This thing is a real beast. And you can even find a Gold Auger DMR if you’re really lucky. It’s a fast-firing weapon, but requires self-control. You’ll need to carefully aim, even if spamming bullets works just as well. If you’re less-inclined to aim and just want to spew bullets at your enemies, the next weapon is a great secondary pick. 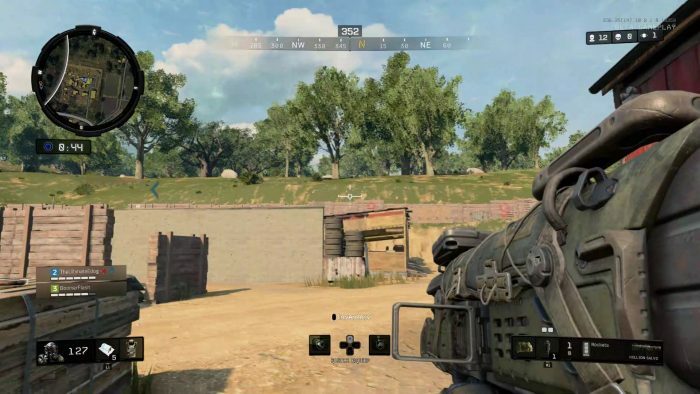 The Titan is currently the only LMG in Blackout — I don’t count the Zweihander. 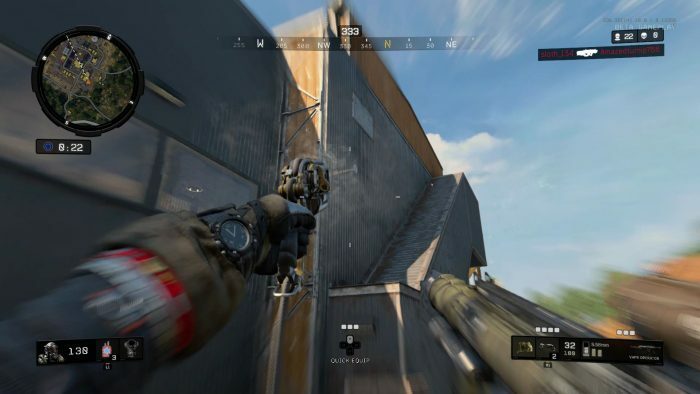 The Titan is a weapon that slows you down and takes forever to reload, but it has plenty of bullets in the magazine, and you can lay down accurate fire while aiming down the sights. Crouch or go prone, and you’re not going to see much recoil. The Titan is an amazing suppression weapon, and great for teams when you need to unleash a lot of sustained fire on an enemy quad. You don’t have to worry about accuracy, because you can just keep shooting and trace your bullets toward a target. If you’re really not a master sniper and want to pick off targets at medium range, you can’t go wrong with the Titan. Just make sure this isn’t your primary weapon. Jumping from the spammiest weapon to the most precise — the Paladin HB50 is my pick for best Sniper Rifle. 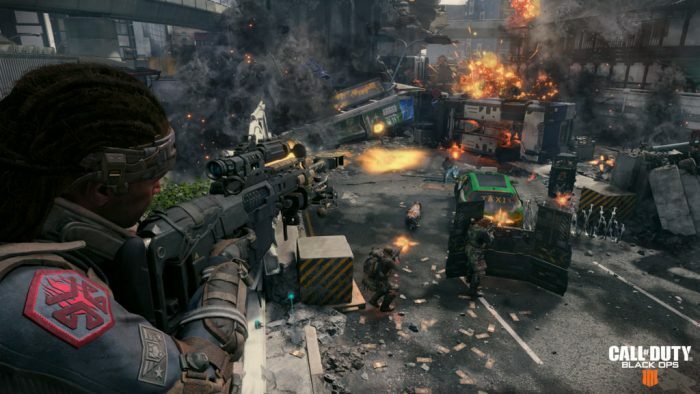 There are two sniper rifles to choose from; the Paladin and the Koshka, and both are amazing weapons when placed in the right player’s hands. The Koshka fires fast, but does less damage. The Paladin is slow, but kills much faster. It’s all about accuracy; do you want to kill your target in one or two hits? The Paladin is your choice. And I’m picking the Paladin for another reason. The Paladin teaches you an important Blackout lesson. Sometimes, patience is what you need to succeed. The Koshka can fire fast and drop more bullets on your target, but the Paladin requires finesse. You’ll have to train yourself to aim and fire accurately instead of giving away your position. The faster you can kill your target, the better off you’ll be. The Rocket Launcher is (almost) a complete waste of space. You can only carry four rockets total, it is extremely rare, and is relatively weak against soft targets like humans. If you’re playing solo, there really isn’t any reason to pick this thing up. Everything changes in teams. The truck and helicopter can be deadly in the hands of an effective team. Players can strafe and shoot from the side of a chopper, or use the armored truck to ambush. The Rocket Launcher changes all that. You can destroy vehicles and wipe entire quads with a rocket salvo — and the Hellion can lock-on, meaning it’s even useful against unsuspecting helicopters. The Hellion is so rare, it’s doubtful most teams will even consider it as a threat. If the circumstances are just right, a single rocket can save your life. Rockets can also smash deployables like barbed wire in a single shot. Finally, we’ve arrived at my personal favorite weapon. The Grapple Gun isn’t actually a gun — it’s a tool you can equip in your gadget slot. Every Grapple Gun comes with five shots standard, and you can use them to scale tall buildings or zip right out of danger. The Grapple Gun is totally awesome, and if you’ve got it, I recommend immediately equipping it so you’ve got this baby ready. With the Grapple Gun, you’re always ready for an awesome escape, or a badass ambush from above. You can attack (or hide) from angles nobody is expecting. That makes this one of the best guns in the game.